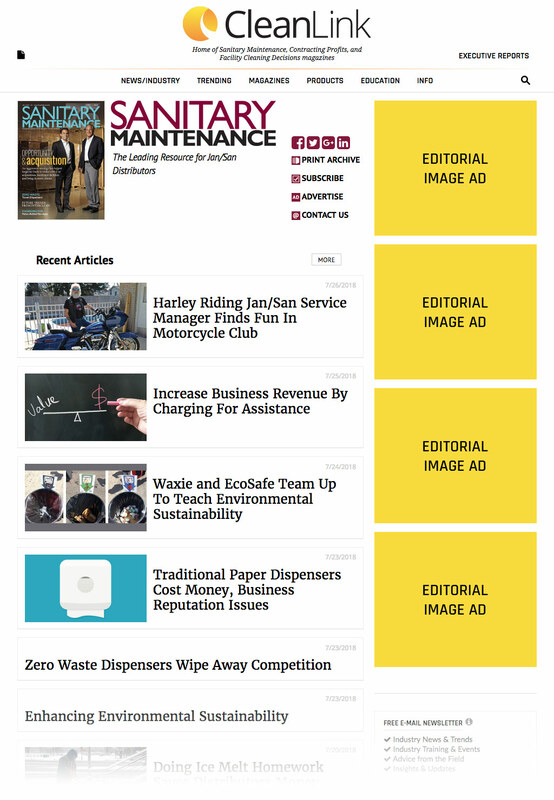 You can get exposure next to every article of Sanitary Maintenance on CleanLink with an image ad. Our Cleaning Insider is designed to give advertisers the most exposure and user engagement possible while giving users the best information and experience across the devices they use every day. Ads have a format option that is in line with content to achieve better results. 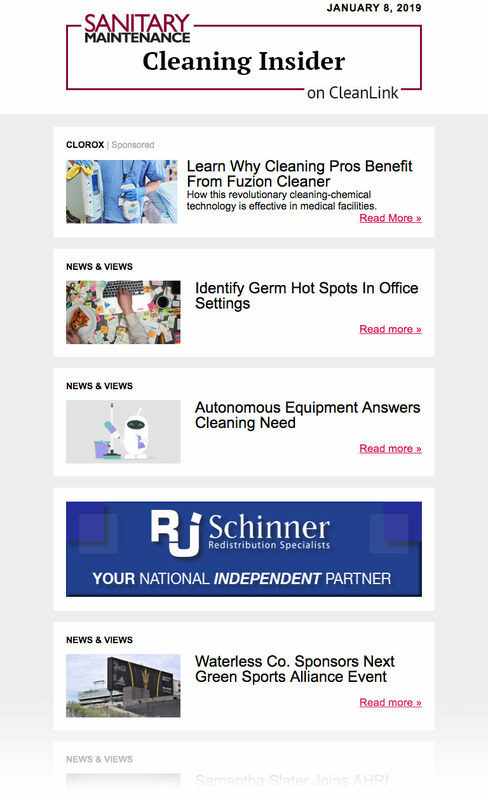 We've doubled your ad frequency by putting your ad on two eNewsletters. 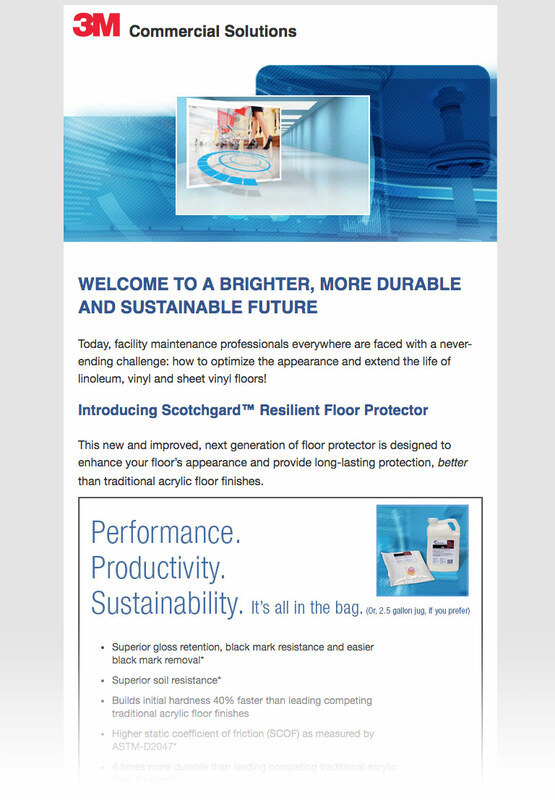 Send your message directly to distributor decision makers' inboxes. Sponsor a Custom Email and leverage your content to reach buyers interested in your products and business solutions. 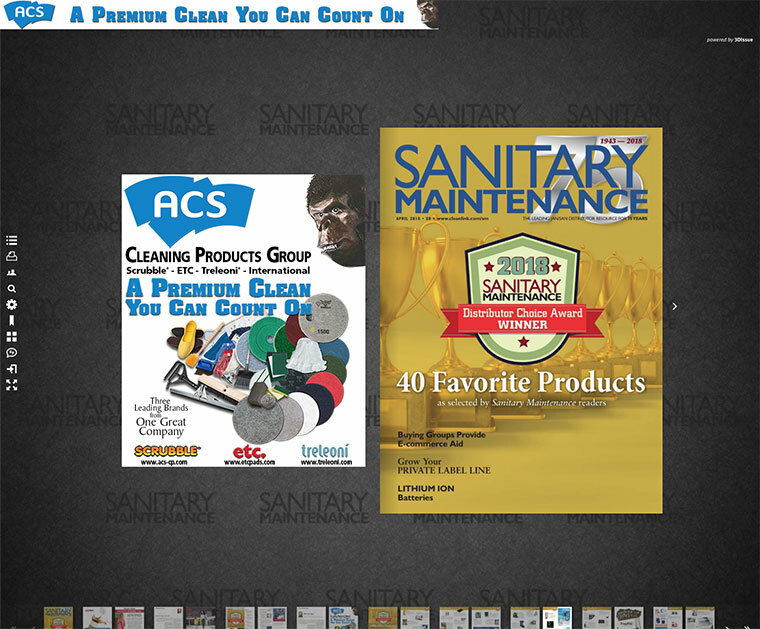 The Virtual Edition of Sanitary Maintenance is a fully interactive copy of the print magazine. 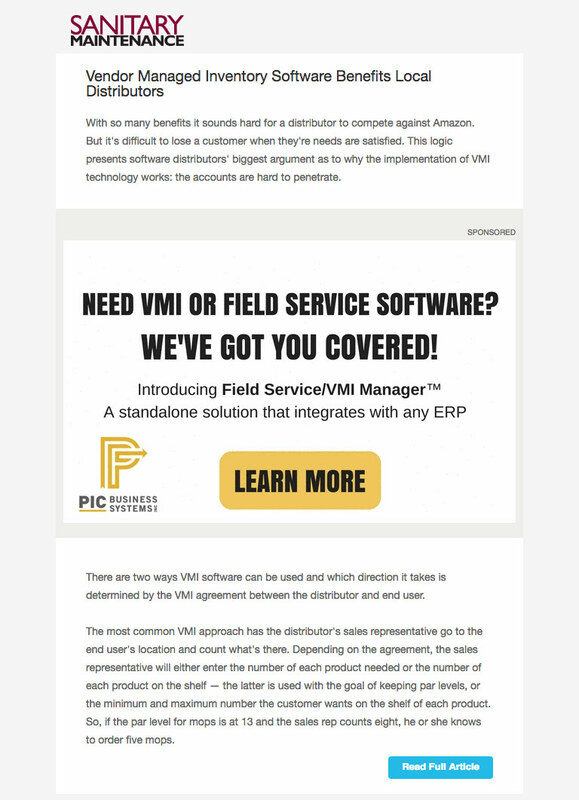 Virtual Edition sponsorship consists of a full-page ad placed across from the front cover, an exclusive top-of-page banner visible on every page, as well as sponsor recognition in our newsletter four times.